HomeNews ArticlesNew & Replacement Glass from Sheerwater Glass – Perfect for all Types of Glass & Glazing! New & Replacement Glass from Sheerwater Glass – Perfect for all Types of Glass & Glazing! Many of our customers are under the illusion that our new and replacement glass expertise only applies to windows, doors and double glazed units, but this is not the case. Of course, we specialise in double glazing repairs and replacement, but we can in fact replace or repair ALL glass and glazing! We can source and repair most types of domestic and commercial glazing here at Sheerwater Glass. 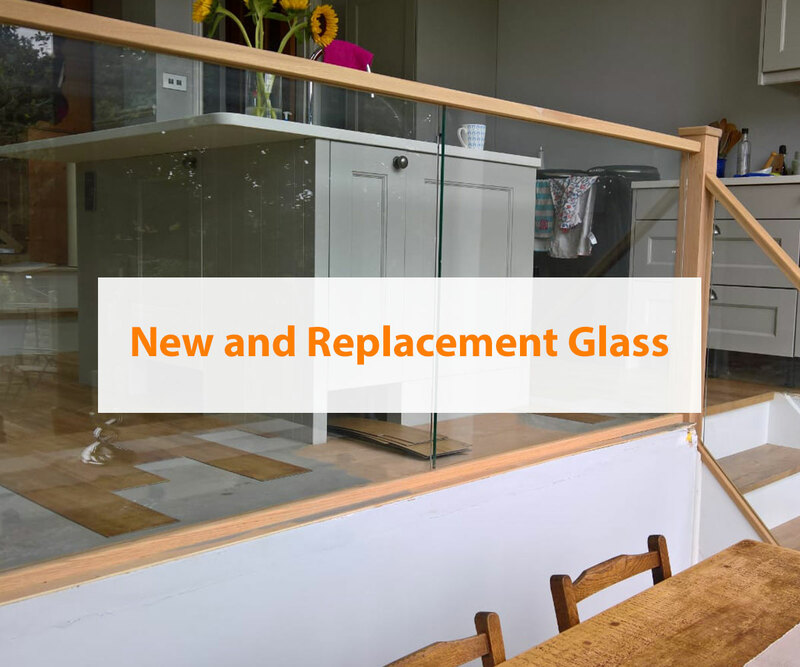 From single pane glass repairs and misted double glazed units to damaged glass balustrades and glass kitchen splashbacks, we are confident in our ability to repair and replace your glass product. Whenever there is an issue with your glass or glazing, we always recommend that you work with an experienced glazier. Unfortunately, glass and glazing issues are not something that you can repair or replace by yourself. An expert glazier will be able to identify the issue and then complete remedial action. The benefits of working with an expert glazier. Our team of professionals are experienced in replacing custom safety glass and cutting glass to any size and for any purpose; interior or exterior. From Georgian wire glass through to horticultural glass, we supply and fit glass for all purposes. We always use high quality acoustic laminated glass for excellent noise reduction and impact protection too for those that require durable glass. Our speciality products have patents and are manufactured with bevelling, polished edge, dubbed or radius corners and most bespoke requirements. Our interior glass is used in everything from splashbacks to replacement glass for doors. We can even pattern or texture the glass we produce. So, the key benefit to working with an expert glazier? The freedom you will have with your glass! As you can see, we can replace and repair quite a range of glass! New Replacement Glass for your Window, Door or Conservatory. Our replacement glass service is extremely effective for rectifying failed double glazing and broken sealed units. Whether you have condensation and mist forming or a pane of glass has cracked, we’ll be able to replace your glass if it’s beyond repair. Glass replacement is surprisingly simple. All we require is the approximate size of the failed, cracked or broken pane and we’ll be able to put together your quote. Should you be happy to go ahead, one of our glaziers will pop around at a time to suit to measure up the exact manufacturing size and thickness so we can order in the replacement. Once the new replacement glass arrives, we’ll come and fit it! How do I take the approximate measurement? You need to measure the visible glass area from the inside of the window or door (glass only; not the frame). Measure both vertically and horizontally, and we’ll be able to provide you with a quotation. Whatever it is you require, please do not hesitate to get in touch with our team by calling 01932 344415. Alternatively, complete our get a quote form and we’ll be in touch.